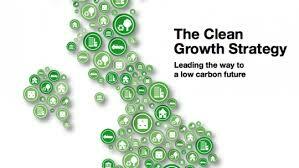 Much has been trailed about the Government’s Clean Growth Strategy since its launch last week. But is it all hot air or are there some nuggets in there which will energise the debate about our country’s future direction and place on the world stage when it comes to putting the environment at the heart of Government policy? We’ve taken some of the highlights of the Government announcement and summarised them below so clients can make up their own minds. If you need to take action to ‘green’ your business as you grow, please don’t hesitate to get in touch. ‘This Government is determined to leave our natural environment in a better condition than we found it. ‘Clean growth is not an option, but a duty we owe to the next generation, and economic growth has to go hand-in-hand with greater protection for our forests and beaches, clean air and places of outstanding natural beauty. increase efficiency, and help lower the amount consumers and businesses spend on energy across the country. Greg Clark, Secretary of State for Business, Energy and Industrial Strategy, said: ‘The move to cleaner economic growth is one of the greatest industrial opportunities of our time. This Strategy will ensure Britain is ready to seize that opportunity. ‘Our modern Industrial Strategy is about increasing the earning power of people in every part of the country. We need to do that while not just protecting, but improving the environment on which our economic success depends. In short, we need higher growth with lower carbon emissions. The low carbon economy could grow 11 per cent per year between 2015 and 2030, four times faster than the projected growth of the economy as a whole. This is spread across a large number of sectors: from low cost, low carbon power generators to more efficient farms; from innovators creating better batteries to the factories putting them in less polluting cars; from builders improving our homes so they are cheaper to run to helping businesses become more productive. ‘The transition to a global low carbon economy is gathering momentum. We want the UK to capture every economic opportunity it can from this global shift in technologies and services. ‘If we get it right, we will not just deliver reduced emissions, but also cleaner air, lower energy bills for households and businesses, an enhanced natural environment, good jobs and industrial opportunity. The Climate Change Act, passed in 2008, committed the UK to reducing greenhouse gas emissions by at least 80 per cent by 2050 when compared to 1990 levels, through a process of setting five year caps on greenhouse gas emissions termed ‘Carbon Budgets’. This approach has now been used as a model for action across the world, and is mirrored by the United Nations’ Paris Agreement. We have been among the most successful countries in the developed world in growing our economy while reducing emissions. Since 1990, we have cut emissions by 42 per cent while our economy has grown by two thirds. This means that we have reduced emissions faster than any other G7 nation, while leading the G7 group of countries in growth in national income over this period. We have outperformed the target emissions reductions of our first carbon budget (2008 to 2012) by one per cent and we project that we will outperform against our second and third budgets, covering the years 2013 to 2022, by almost five per cent and four per cent respectively. Our economy is expected to grow by 12 per cent over that time. In 2016, 47 per cent of our electricity came from low carbon sources, around double the level in 2010, and we now have the largest installed offshore wind capacity in the world. Automotive engine technology has helped drive down emissions per kilometre driven by up to 16 per cent and driving a new car bought in 2015 will save car owners up to £200 on their annual fuel bill, compared to a car bought new in 2000. England recycles nearly four times more than it did in 2000. Not only are we rapidly decarbonising parts of the domestic economy, but thanks to our world leading expertise in technologies such as offshore wind, power electronics for low carbon vehicles and electric motors, and global leadership in green finance, we are successfully exporting goods and services around the world – for example, one in every five electric vehicles driven in Europe is made in the UK. This progress now means there are more than 430,000 jobs in low carbon businesses and their supply chains. An estimated $13.5 trillion of public and private investment in the global energy sector alone will be required between 2015 and 2030 if the signatories to the Paris Agreement are to meet their national targets. The UK is well placed to take advantage of this economic opportunity. Our early action on clean growth means that we have nurtured a broad range of low carbon industries, including some sectors in which we have world leading positions. This success is built upon wider strengths – our scientific research base, expertise in high-value service and financial industries, and a regulatory framework that provides long-term direction and support for innovation and excellence in the design and manufacturing of leading edge technology. We have achieved significant results in the power and waste sectors and now need to replicate this success across the economy, particularly in the transport, business and industrial sectors. We also need to reduce the emissions created by heating our homes and businesses, which account for almost a third of UK emissions. If done in the right way, cutting emissions in these areas can benefit us all through reduced energy bills, which will help improve the UK’s productivity, and improved air quality, while the innovation and investment required to drive these emissions down can create more jobs and more export opportunities.